What an AMAZING day! 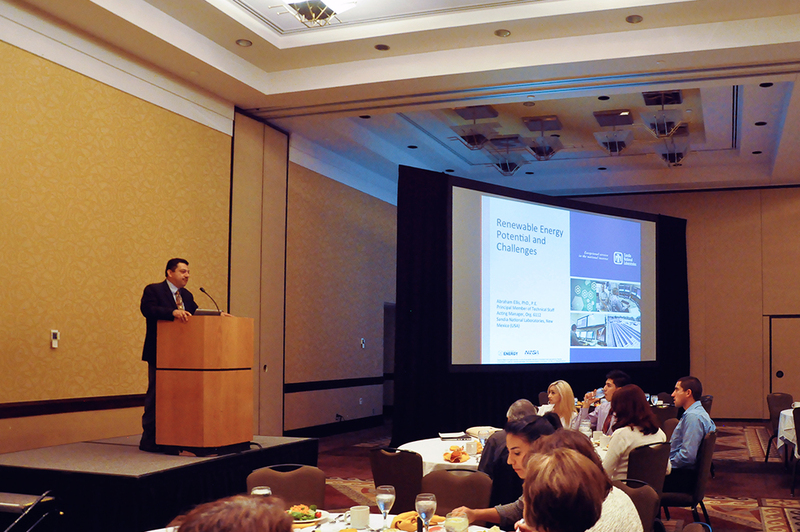 NM EPSCoR and the New Mexico Academy of Science welcomed over 130 faculty, students, researchers, educators and community members at the Hyatt Downtown Albuquerque on November 1st. The day started out with a luncheon during which Dr. Abe Ellis of Sandia National Labs (right) gave the event's keynote, Renewable Energy Potential and Technical Challenges, in which he addressed what we have learned from rapid deployment of wind and solar generation over the last decade, and how the industry and technology has evolved. Following the luncheon, the day was split into two concurrent sessions, each covering three distinct topics with four to five presenters per topic. Topics ranged from bioalgal and solar energy to engineering and ecosystems. 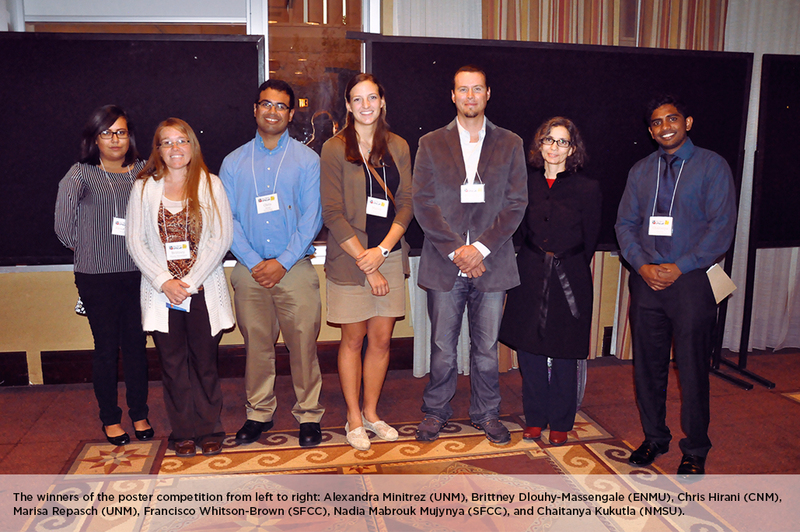 A student poster session competition took place between the concurrent sessions, with 4 winners in the undergraduate/high school category, and 3 in the graduate/faculty category. The winners are pictured below (click to enlarge). 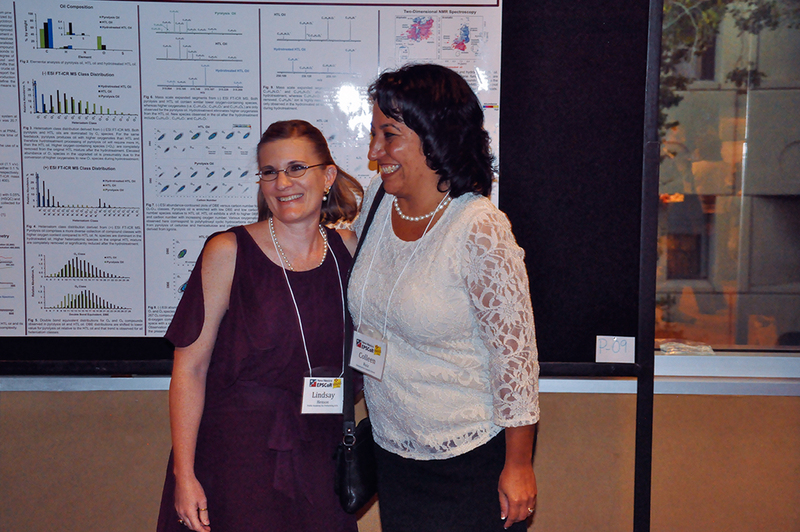 At the end of the day, participants were treated to a reception where the winners of the poster competition were announced, and Michaela Buenemann presented the NMAS Award for Outstanding Science Teaching to Lindsay Henson and Colleen Ruiz (right, pictured respectively). These amazing women know how to bring science into the classroom while engaging and encouraging their students. Congrats, ladies! If you would like to see the meeting program, you can view it on our website. Head over to our Flickr page if you'd like to see photos from the entire event. Thanks to our sponsors NMAMP and NMPSME, participants, moderators, staff, and presenters for all your help and hard work in making this event a success!